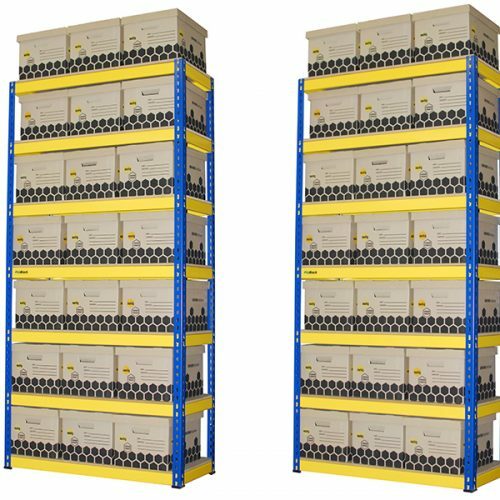 Rigi Rack is a solid hard wearing shelving system designed with beams on all four sides to support any type of shelving material. 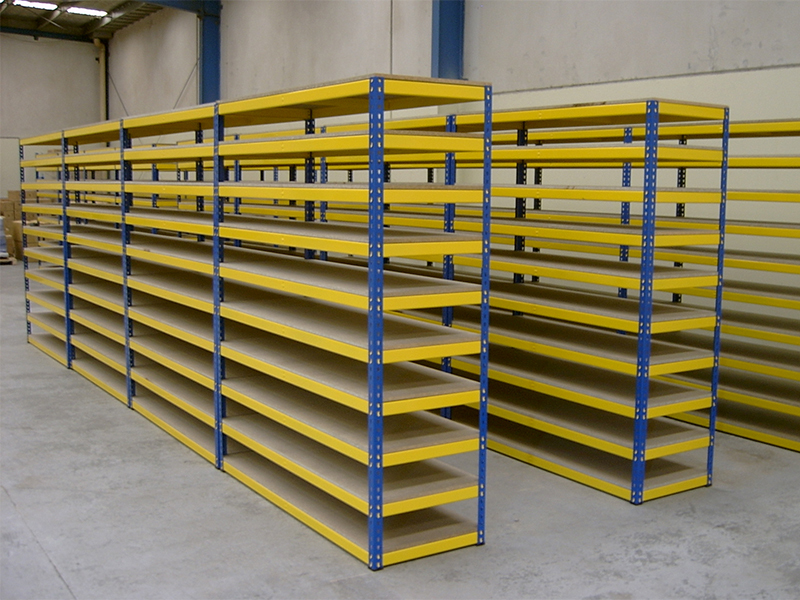 Powdercoated in bright colours to enhance environment and safety. 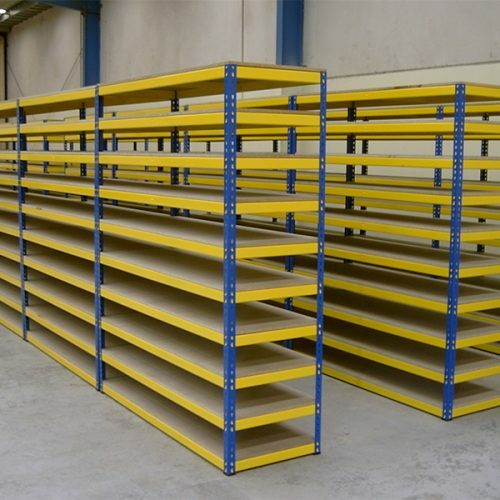 Using 12mm thick MDF board, standard bay configurations have been engineered to support 250kgs to 450kgs UDL per shelf and 2000kgs per bay. 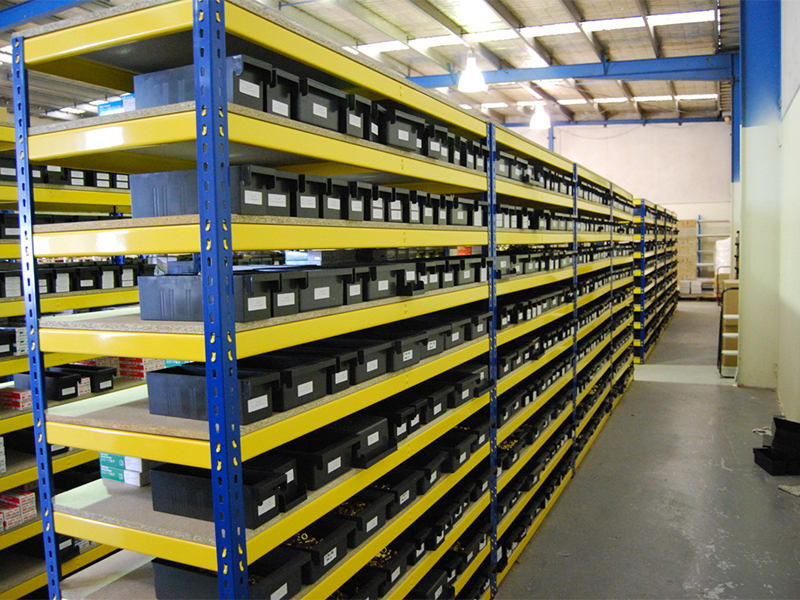 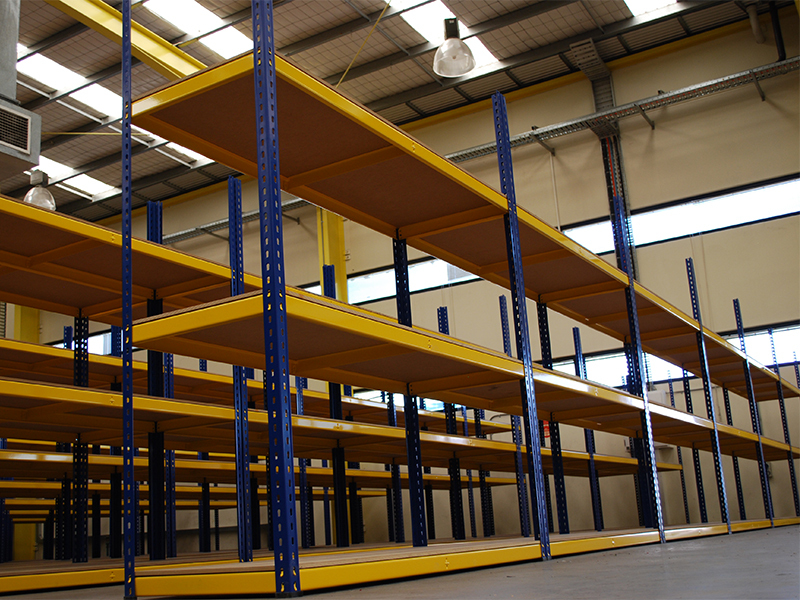 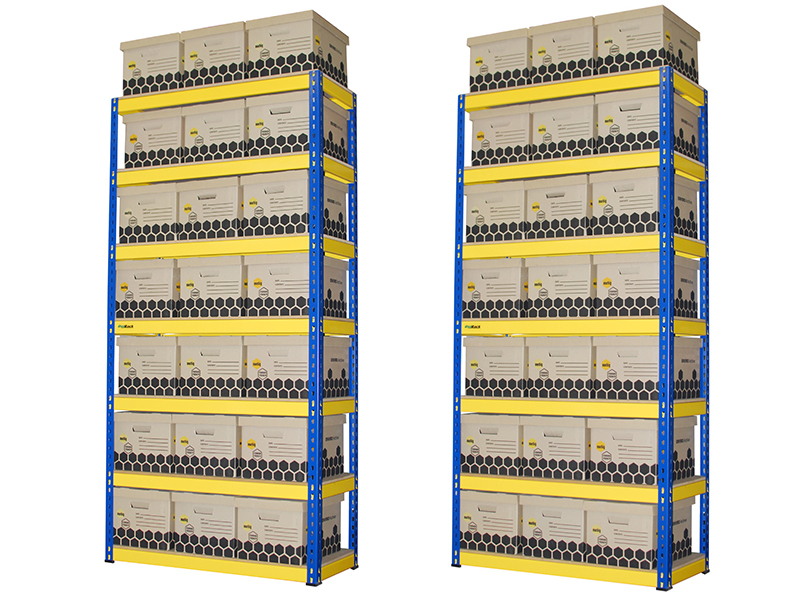 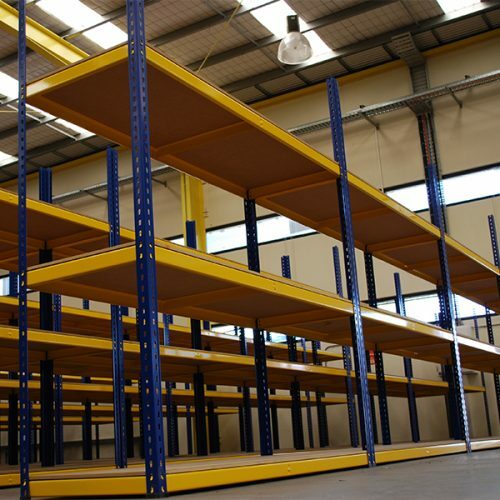 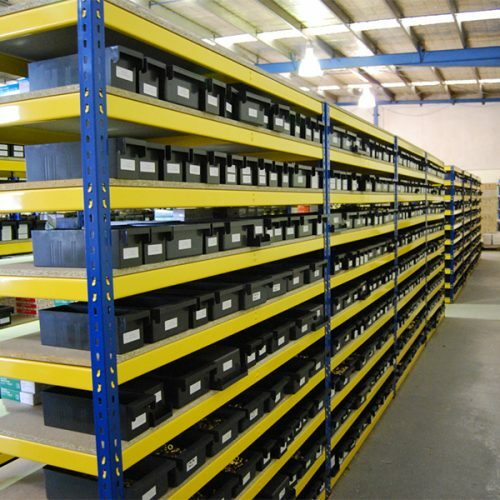 Available in a wide range of shelf lengths, depths and heights, this RigiRack Shelving Solutions is perfect for any application from the home garage to archive shelving in offices.